STORY OF MY LIFE: Losing My Life. In Africa a country called Libya, Muammar Gaddafi was the president, a real African king, not only had he a vision for his country, but for the whole of Africa. An idea so great that we still feel his loss up to date.What might have killed him?. don't be too vicious and forget or ignore your surrounding, not everyone is happy with how you handle situations, learn to look carefully to your surrounding. Things around you might be slowly falling apart. 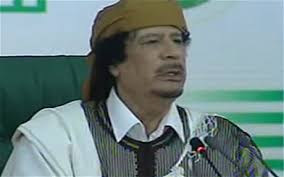 Gaddafi was not a bad leader, so great was his vision that he forgot about the people around him, for this he lost his life. Learn to solve different life challenges affecting you without hurting anyone.If your first approach didn't work use a different one, don't solve a problem more than twice in the same manner, try something different not repeating the same mistakes. Learn something new every time and appreciate other people around you, take the time to listen to others, learning makes us grow. A continuous process of life, gain new skills, and things will be easier for you. Solve challenges with this aspect that helps keep family and friends closer and you don't have to go live away from everyone to be successful. Share your fruits of success and they will be much sweeter. thanks.hoping to make it better. subscribe for more.